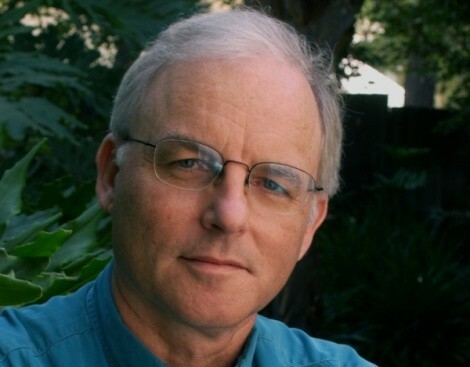 Richard Louv is an environmental health leader whose 2005 book, Last Child in the Woods, brought attention to nature-deficit—the growing disconnect between children and nature. Louv’s latest book, The Nature Principle: Human Restoration and the End of Nature-Deficit Disorder, expands the concept to argue that adults are in dire need of nature, too. Louv is the keynote speaker of the University of Utah’s Exuberant Sustainability day on Thursday, Feb. 16 (Fine Arts Auditorium, Film & Media Arts Building, 2 p.m., free), discussing the New Nature Movement. What is the New Nature Movement, and why does it matter? It comes from the idea that environmentalism as we know it is not succeeding. Don’t get me wrong; the movement has done great things. When I was growing up, people were throwing beer cans out the window. But it’s almost as though the more we talk about global warming, the less people believe in it. The idea that there could be a better future, not just from conservation, but from the creation of nature, is a central idea of the New Nature Movement. Most people, when they think of the far future, carry around images of Blade Runner or Mad Max; post-apocalyptic visions where nature has been stripped from our lives. In juvenile fiction, the thing that is really big is descriptions of a post-apocalyptic world. I think that that is primarily because we don’t have a good vision of what our future might be. The nature principle is focused, to the best of my ability, on painting that picture. But how do we get there? We have to have a different kind of environmentalism. I recently wrote a blog that’s a list of about 30 things, “You’re part of the new nature movement if …” You’re part of the new nature movement if you’re an urban designer who wants to make a greener city, if you’re a pediatrician who’s prescribing nature, if you’re re-doing your backyard to bring back native plants. The new nature movement is a big tent, rather than the pup tent that environmentalism has become. It’s not a replacement; it’s an extension, it brings more people to the table. How have people responded to the movement? I think that there is a lot of hunger for environmentalism that isn’t their parents’ environmentalism, for a different way to look at the future that isn’t a post-apocalyptic future. There’s also a lot of hunger to get jobs, to create jobs doing something people really love. There’s a lot of entrepreneurial jobs, part-time jobs, or ways to change the jobs that we do have, to connect people to nature. And it really makes people happy—it’s a happy cause at that point. And there hasn’t been much that’s happy about environmentalism recently. What’s a simple way that busy adults can deepen their connection with nature? You can start in your own backyard. You don’t have to go to the woods. If you perceive your backyard as nature, it’s a little closer, a little easier to get to. If we really want biodiversity to be maintained or increased, then we’ve gotta change our yards. We can have great yards, beautiful yards, that are planted with native species, and that brings back the insects, the butterfly migration routes, the birds—the whole chain of life can be changed if enough people do that. The secret to biodiversity in our civilization is to change our yards, rather than hope that our main forests are maintained. Utahns are so close to nature—do you think we naturally have better connections to nature than, say, people in New York City? It’s likely that it is easier there than it is in some places, but New York City has a lot of nature in it. They’re still discovering new species in Central Park. The old cities have better natural parks. It does help to have mountains nearby, all that open space. But the problem is, even when that exists, oftentimes it doesn’t matter. Kids still don’t go outside. I grew up next to the woods, at the edge of a suburb, and I spent a lot of time there. I went back to the area and interviewed families, and kids aren’t going into the woods at all anymore. Access is important, but it’s not a guarantee that people will be going out into nature. What’s the best way to encourage this relationship with nature? Do the billboards showing a kid holding a turtle instead of a video-game controller help at all? I think those images, those messages are good. Those messages about children’s relationships with nature haven’t been there till the past few years. But nothing is more important than a parent or a grandparent or a teacher helping that kid—and themselves—make a direct connection with nature. It can’t just be posters and billboards.